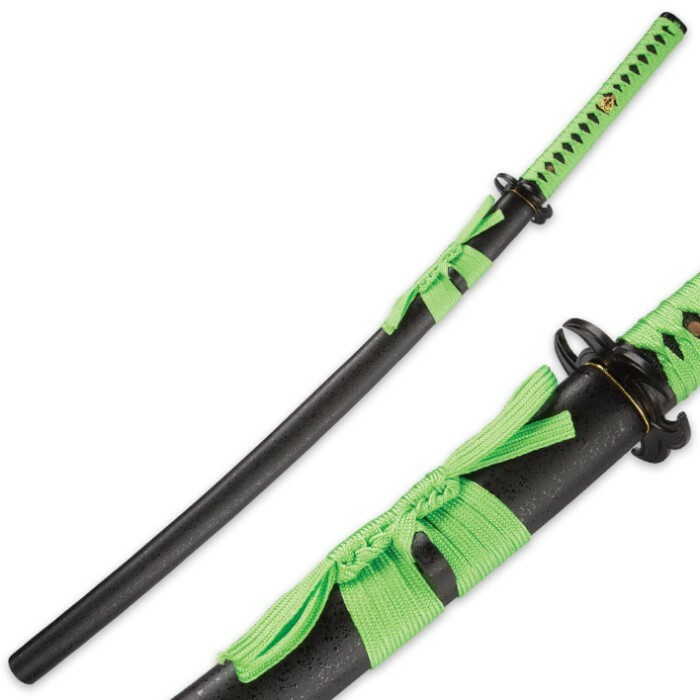 When the Zombie Apocalypse comes, you need a sword that won't let you down! Our Zombie Samurai Sword is that sword! The extra-thick 28" carbon steel blade is a 1/4” thick so that you can really take care of business. 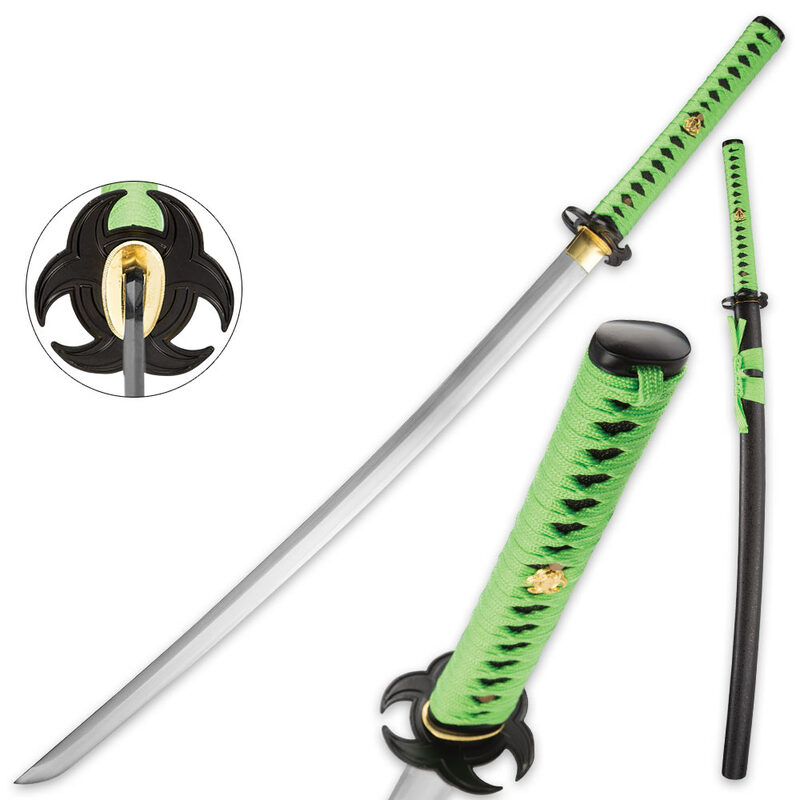 The tsuba has the distinctive Apocalypse design and the handle is cord-wrapped in electric green. 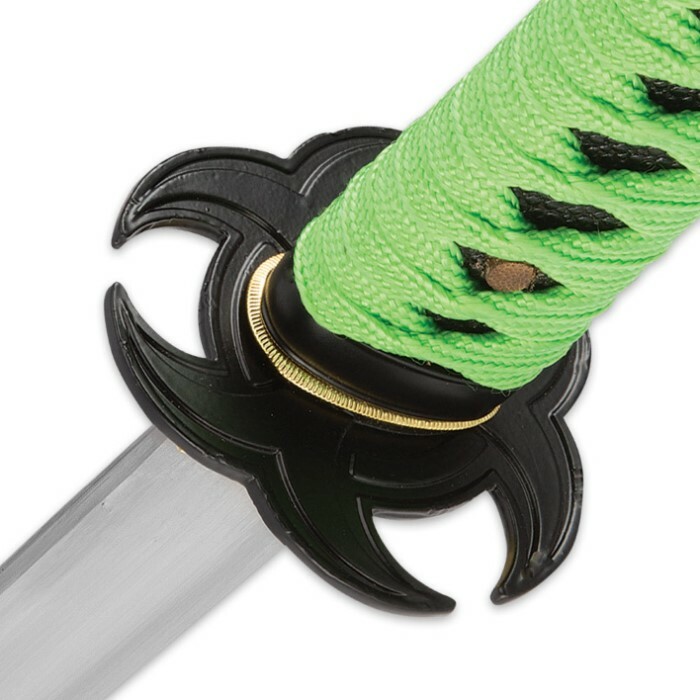 It includes a black scabbard. This sword, while very pretty, is NOT functional. The blade is carbon steel, but not hardened or tempered. Contrary to the hype, would NOT recommend for the end of the world, but would recommend as a low priced ornamental piece for the wall/mantel.